Replacement net for 10ft Oxygen 300 trampolines. Have your young children damaged the netting on your enclosure or is the zip broken? Whatever has happened, it is time to replace your net. If your net posts and the fibreglass rods are still in good condition, there is no need to change everything. You can buy this net on its own at a lower price. - This net is adapted to trampolines with a 10ft (3.05 m) diameter and six curved net posts, which are placed on three double feet ensuring perfect hold. The curved posts are essential as the net falls within the frame pad, which is why its diameter is smaller than 3.05 m. If you have straight net posts, then you cannot use this net. 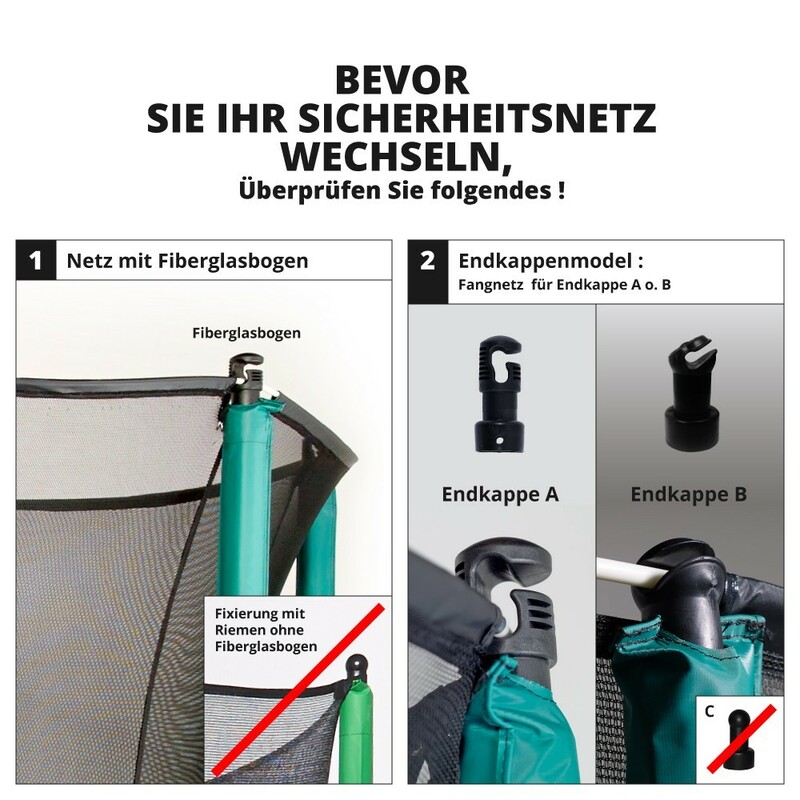 Do not hesitate to look at the Oxygen model on our website to make sure. - This high-quality net is made from 130 gr/m²polyethylene, which is a strong fabric that can safely keep your children inside of the jumping area. Its fine netting leaves no space for children to get their fingers stuck. 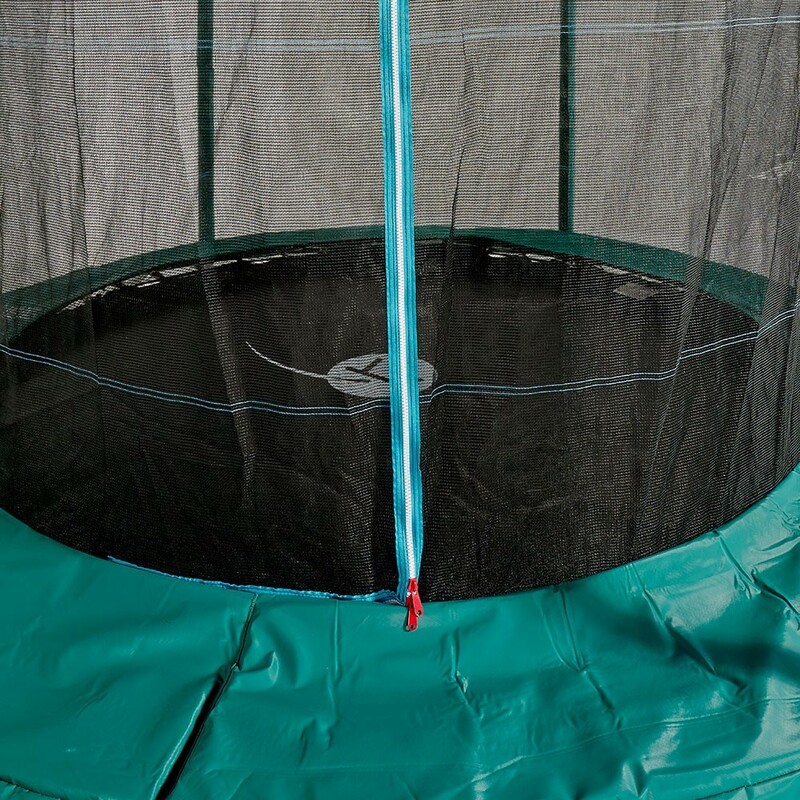 An L-shaped door gives access to the trampoline using a zip. 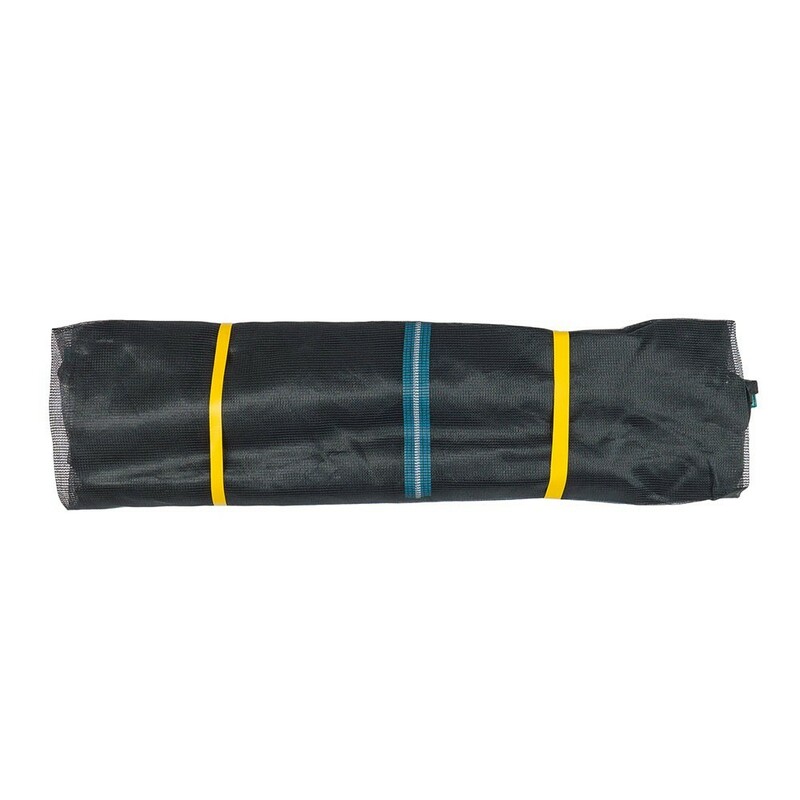 This zip can be used from the inside or the outside of the trampoline, making access simple. - It is essential to use a fibreglass rod system, which is inserted into caps at the top of the net posts. The lower part of the enclosure has elastic straps with hooks on, to stretch the netting onto the springs. - It is important to remember that the Oxygen 300 enclosure is fixed between the frame pad and the jumping mat of your trampoline. It is impossible to access the frame pad to increase safety for your young children. - Furthermore, your trampoline should have a maximum height of 2.60 m and the jumping mat should be at 76 cm from the ground. If your measurements are slightly different, please contact us for confirmation.